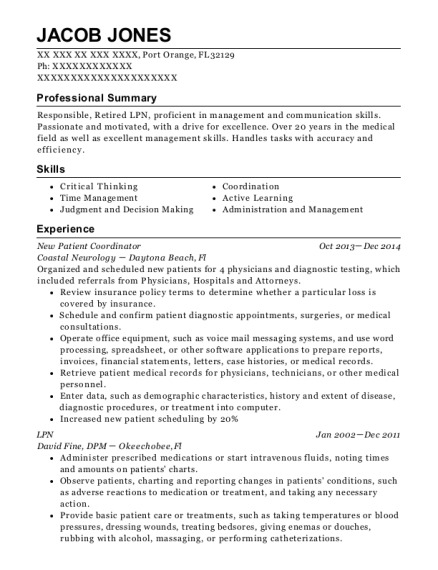 Accomplished and energetic worker with a solid history of achievement in scheduling and working towards pursuing my career in medical coding. Motivated leader with strong organizational and prioritization abilities. Areas of expertise include quick learner, team player with a positive attitude and exercise good judgement. My job duties include receiving medical records from the referring physician(s), review the medical records and make sure that the patient is suitable for the doctors to see and then schedule the patient with the doctor of their choice or their doctor(s) choice. Monitored shared email in-boxes and ensured inquiries were addressed. 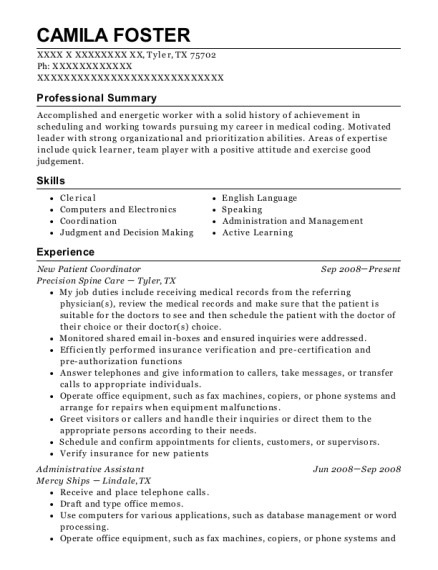 This is a resume for a New Patient Coordinator in Tyler, Texas with experience working for such companies as Precision Spine Care and Mercy Ships. 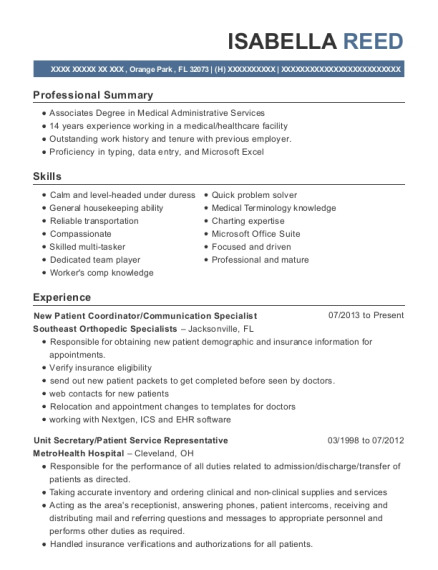 The grade for this resume is 0 and is one of hundreds of New Patient Coordinator resumes available on our site for free. 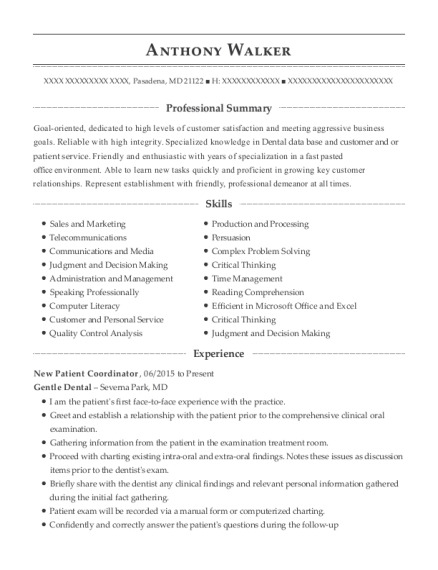 Use these resumes as templates to get help creating the best New Patient Coordinator resume.